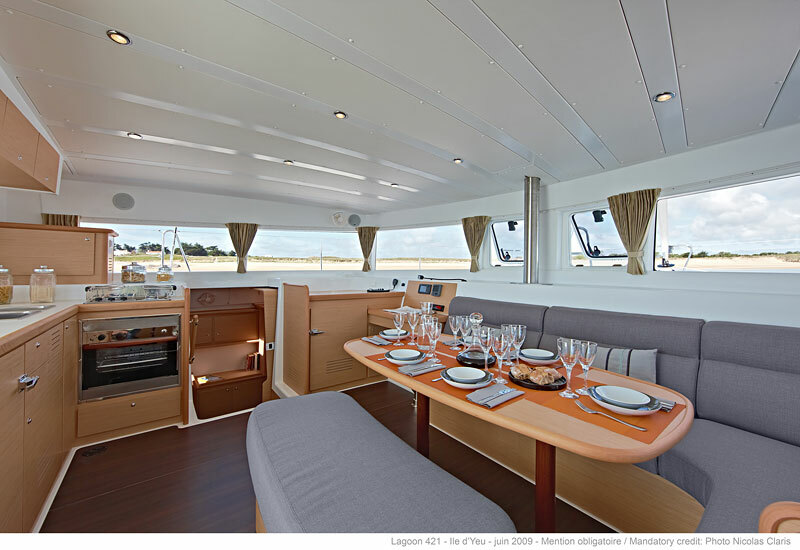 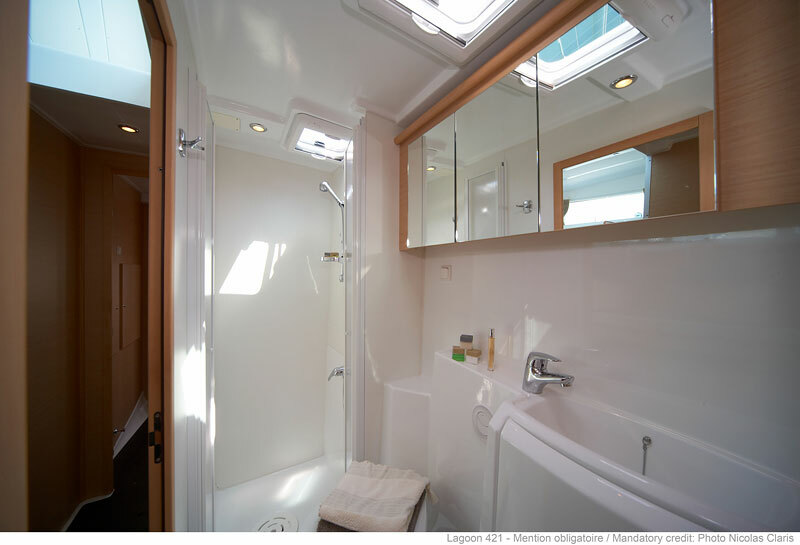 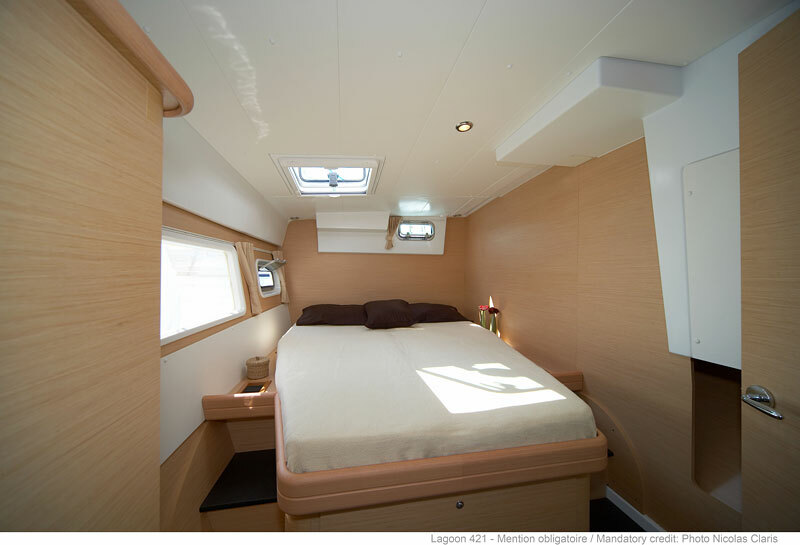 It is another Lagoon model which was born as the improvement of the previous model, Lagoon 420. 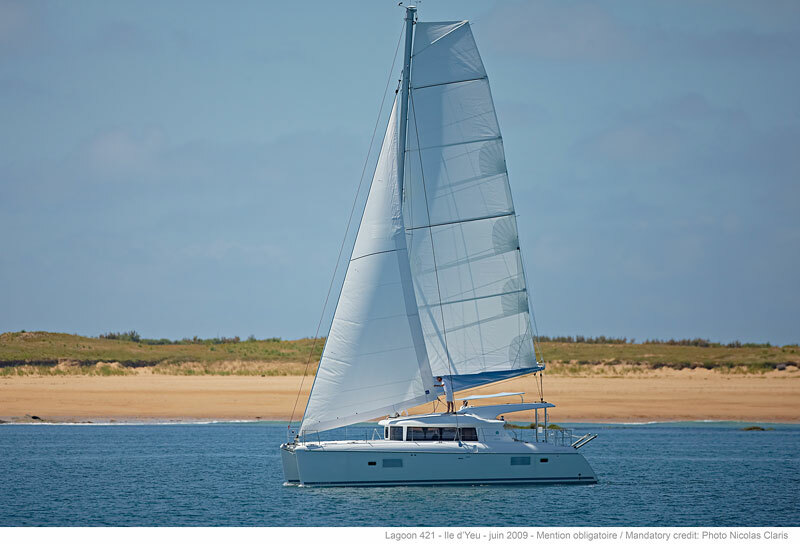 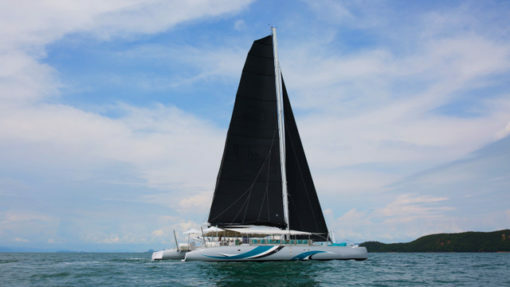 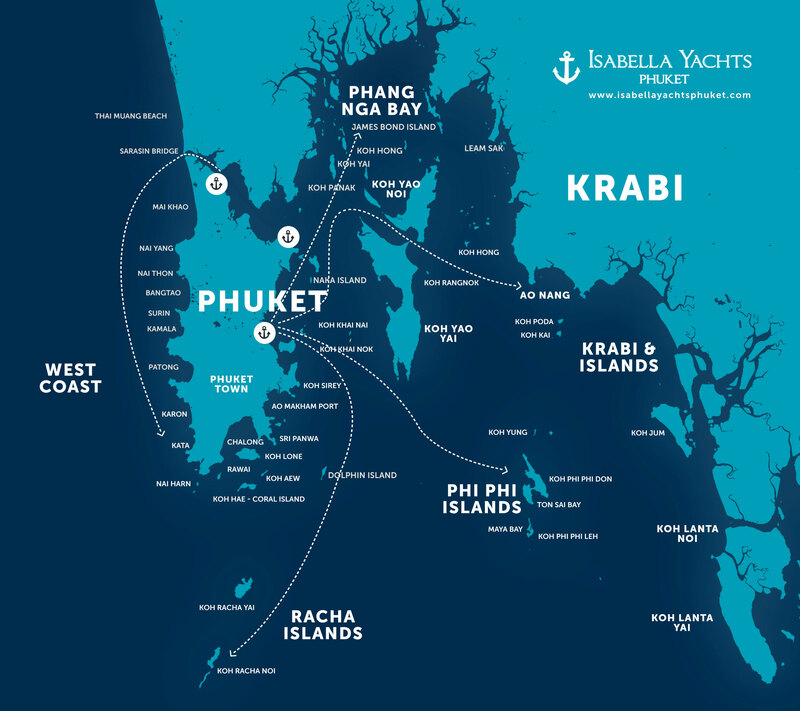 Lagoon 421 is one foot longer than her forerunner while some more improvements made it a completely new yacht. 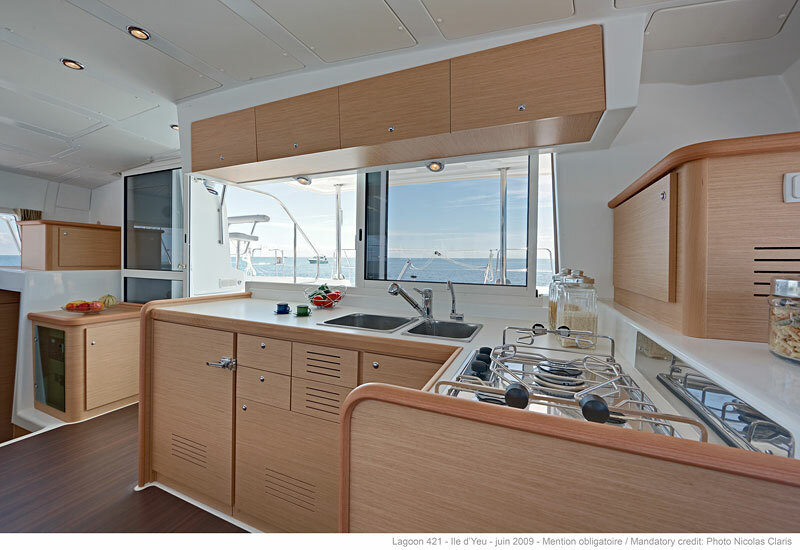 Bows are now vertical and transom skirts are much wider. 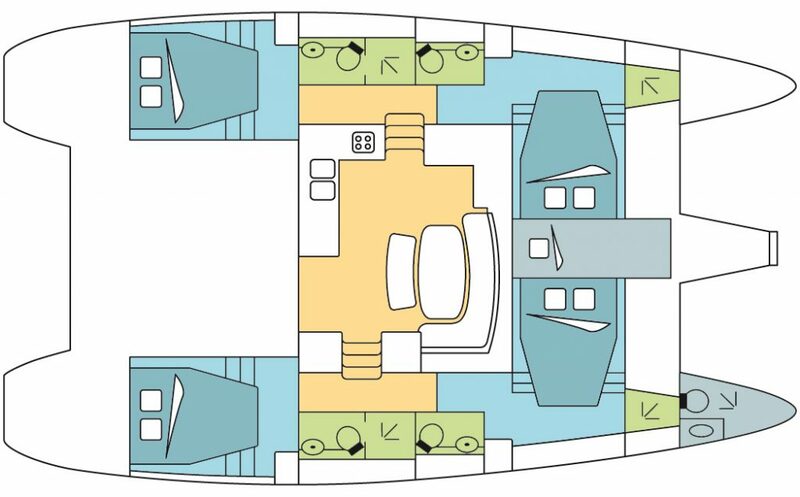 Fixed bimini top extended living space from the saloon to the cockpit. 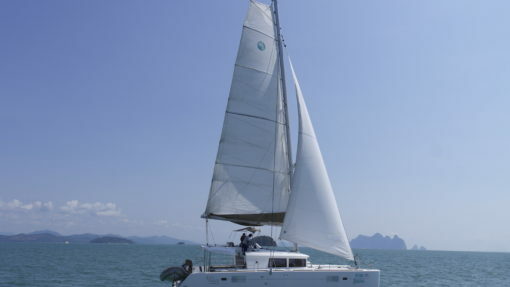 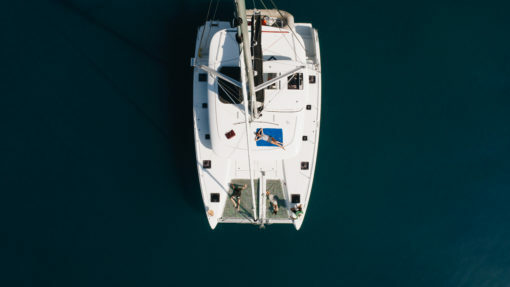 Skipper’s helm station is covered by fixed bimini while mainsail is cut in a manner to hoist the boom so there are no troubles with it colliding with skipper’s bimini while sailing. 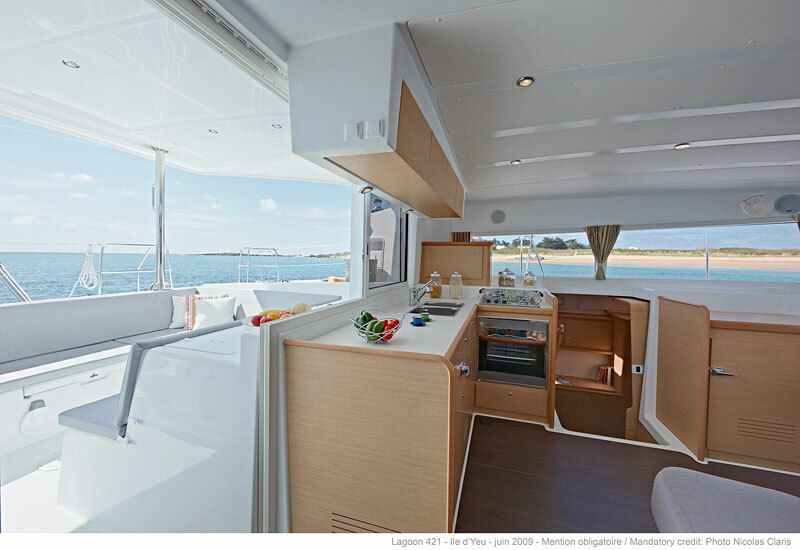 Since the boom is the hoisted part of hardtop, it could be used even as a sunbathing area.